We are all about relaxation at Now Resorts & Spas. Whether it is relaxing on the golden sand beaches, enjoying countless family-friendly activities or just spending time with the ones you love, we are here to help turn your days from hectic to harmony. 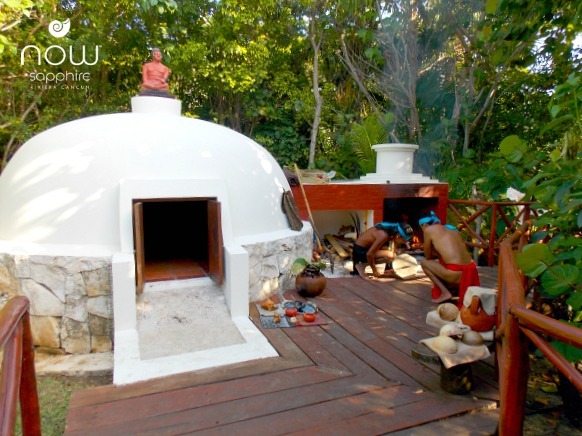 At Now Sapphire Riviera Cancun, guests have the opportunity to immerse themselves in ancient culture with the relaxing Temazcal ceremony and spa treatment. Routed in the Náhuatl Aztec language meaning “bath house”, the Temazcal is a protected structure where guests cleanse their bodies allowing their souls to fill with positive energy and be reborn. The ancient ceremony is led by a Shaman who walks guests through the journey allowing their worries to melt away as body, mind and soul are reconnected. Outside the Temazcal there is an oven in which stones from the Popocatepetl –the largest active volcano in Mexico– are heated for the ceremony. Shamans help guests reach total relaxation with the Temazcal ceremony. Through ancient singing, prayers, heat and teas guests who have experienced the Temazcal ceremony have felt a weight lifted off their shoulders! Sign us up! Groups of 6-10 people can take advantage of the Temazcal ceremony at Now Sapphire Riviera Cancun by contacting their concierge. Be sure to check in and see what treatments are offered at all Now Resorts & Spas to reach your state of total relaxation! Take advantage of our latest special offers and book your stay today! 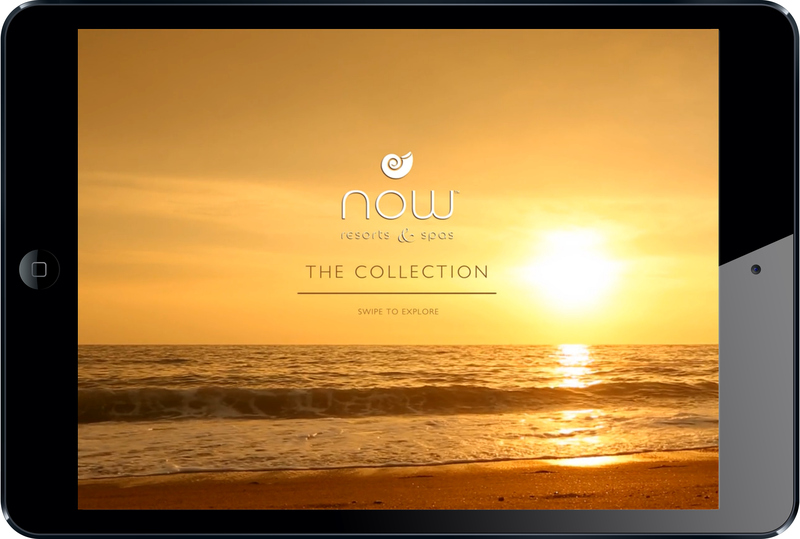 Introducing the Now Resorts & Spas Collection iPad App! Maybe you’re convincing your husband you need to visit Punta Cana. Maybe you’ve booked your Cancun getaway and want to show off to your co-workers. Maybe you’ve done the research and you’re ready to finally book your trip to Puerto Vallarta. You can do all this and more with the new Now Resorts & Spas Collection iPad App! All the information, pictures and more is merely a swipe away! 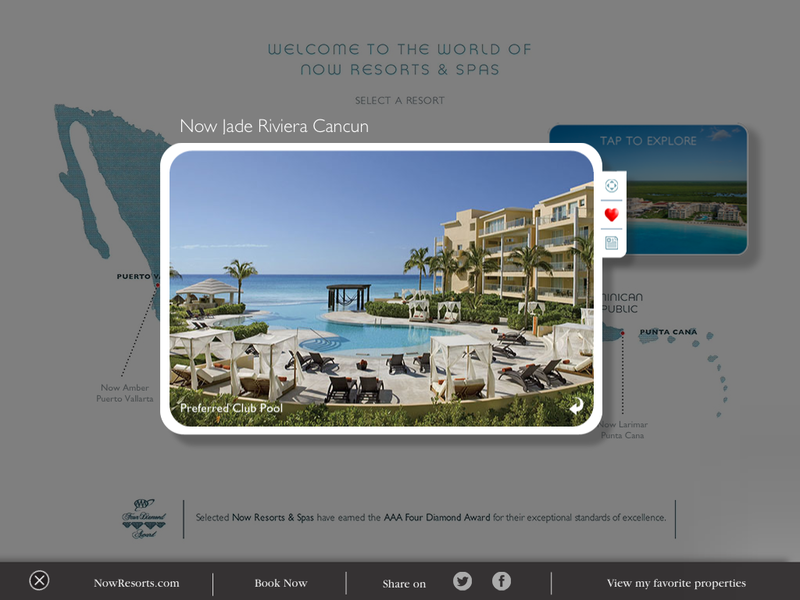 Welcome to the Now Resorts & Spas Collection iPad App! Take the beautiful sights of the Mexican and Dominican Republic with you where ever you go! Plus, with a swipe, all the details of Unlimited-Luxury® are at your fingertips. Like this picture? Wait until you see the video! Get a taste of the Now Resorts & Spas with video and pictures sure to convince even the most stubborn of significant others. Take a peek at the all the perks that come with a stay at Now Resorts & Spas; from the glamorous suites to the gourmet restaurants, from the daytime activities on the beach or by the pool, and the night activities at the sleek bars. Here’s a look at the pool at Now Jade Riviera Cancun! Take a deep look at all the resorts that make up the Now Resorts & Spas family. Show your co-workers the exact pool you will be lounging by, the exact restaurants that will tease your palette, and the exact beaches that will ensure you return to work the next week with that golden tan. 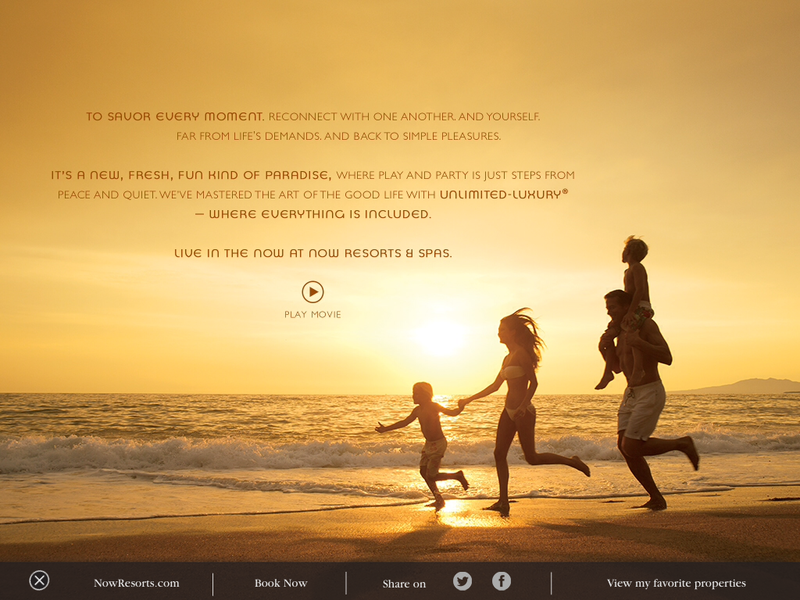 Plus each resort has a fact sheet that lays out all the amenities so you can be prepared for all the perks. The best part of the app? Book your whole vacation from the comfort of your couch on your iPad! Could it get any easier? Download the free app and get your vacation started! Unlimited-Luxury®: Every amenity you’d expect from a world-class resort is now yours for the taking with Unlimited-Luxury®. Every delicious gourmet meal, every top-shelf spirit and, of course, your well-appointed luxury suite with 24/7 room service. With Unlimited-Luxury you’ll enjoy a complimentary mini-bar refreshed daily, themed parties, oceanfront bars and entertainment venues, pristine swimming pools, pool and beach wait service, endless daytime activities and live nightly entertainment. Location: Each of our resorts is located in an amazing tropical locale, including Cancun and Puerto Vallarta in Mexico and Punta Cana in the Dominican Republic. All are known for their natural beauty and year-round perfect weather. At Now Resorts & Spas, an incredible view is guaranteed, no matter what room you’re in. Our concierges also make excursions easy for anyone looking to add some adventure to their vacation. Exposing kids early to new cultures and countries gives them memories that will last a lifetime! The flawless beach of Now Jade Riviera Cancun Resort & Spa. Explorer’s Club & Core Zone: Even on a “family vacation,” parents deserve some time on their own to relax and reconnect with each other. 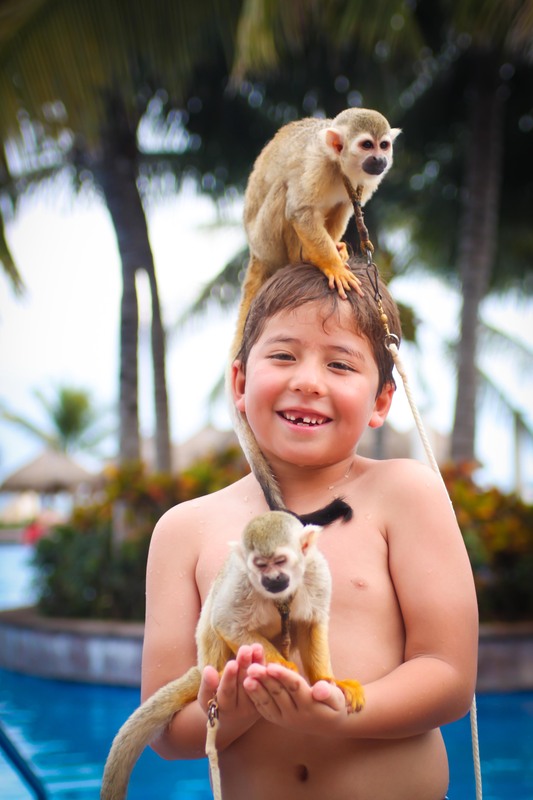 At Now Resorts & Spas, our fully supervised Explorer’s Club, for kids ages 3-12, has tons of fun activities to keep children entertained and safe. For bigger kids, our Core Zone Teens Club, for ages 13-17, is the perfect place for teens and tweens to hang out and enjoy themselves with activities, mixers and parties. Spa: Everyone deserves some time to be truly pampered, especially on vacation! Take a trip to the spa for revitalizing spa treatments and therapies that will soothe your muscles, relax your mind, release stress and stimulate your senses. You’ll leave feeling rejuvenated from head to toe! 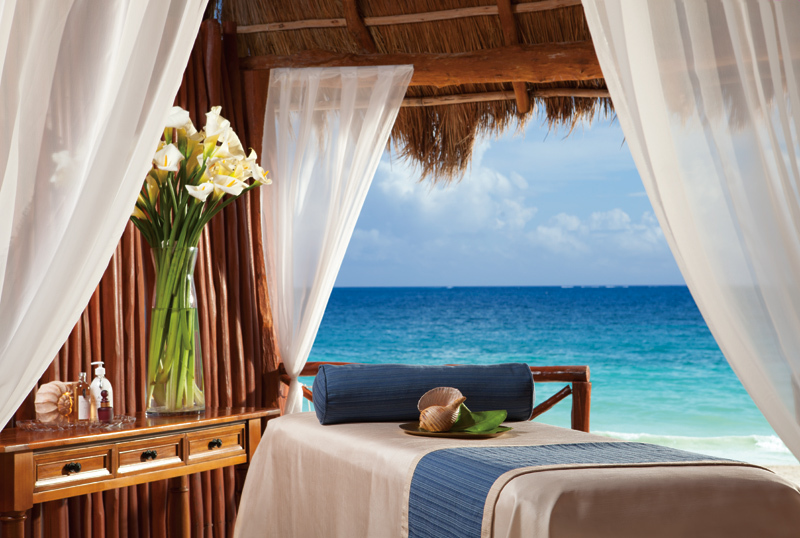 Dreams come true at the spa of Now Sapphire Riviera Cancun Resort & Spa. Food & Drink: Now Resorts & Spas has something to satisfy the pickiest little eaters and grown-up foodies. Got a teenager with a never-ending appetite? No problem! Every meal and snack at our elegant á la carte restaurants, poolside cafés and casual coffee shops are included. Dine on a variety of cuisines depending on your mood including Mediterranean, French, Asian and Mexican. Adults can relax with unlimited top-shelf spirits, fine wines and premium beers without expected gratuity in our numerous bars, lounges and restaurants. Plus room service is available 24/7! WIN A TRIP TO NOW RESORTS & SPAS! Are you and your family ready for a getaway? Click here to follow the story of Adam, Abby and Hayley during their much needed family vacation! Share with your friends and enter to win the ultimate family getaway for 3 nights at Now Resorts & Spas! The time is NOW for your next family getaway. Watch and enter to win a stay before our sweepstakes ends today! Have a FOAM-tastic Time at Now Jade & Now Sapphire! 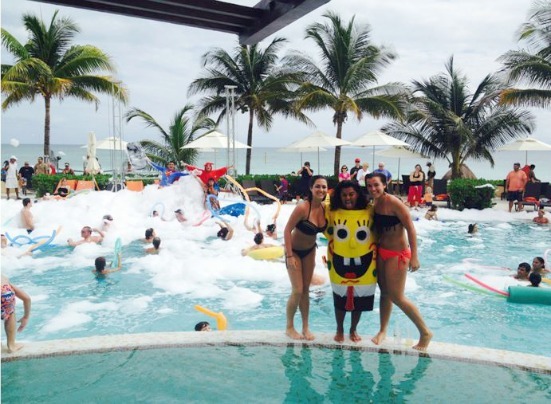 Here at Now Jade Riviera Cancun and Now Sapphire Riviera Cancun – we know how to have a good time. 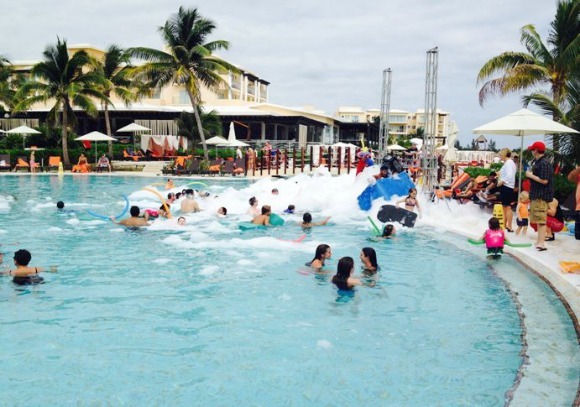 Check out photos from our recent foam parties that are super fun for all ages! These parties are held every Thursday at Now Jade, and every Wednesday at Now Sapphire at 2:30pm. The Now Entertainment teams look forward to seeing all of you there! 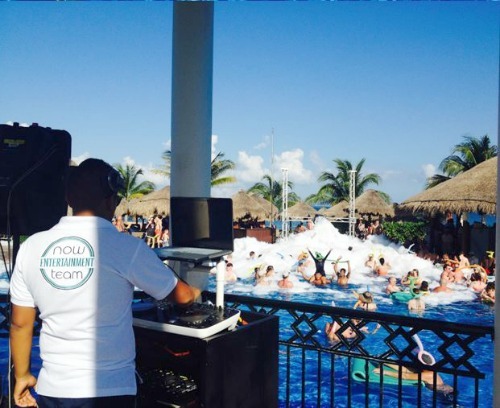 To learn more about parties that we like to throw for our guests at Now Resorts & Spas, make sure you Connect with Us on Facebook, Twitter, Pinterest, YouTube and Instagram! 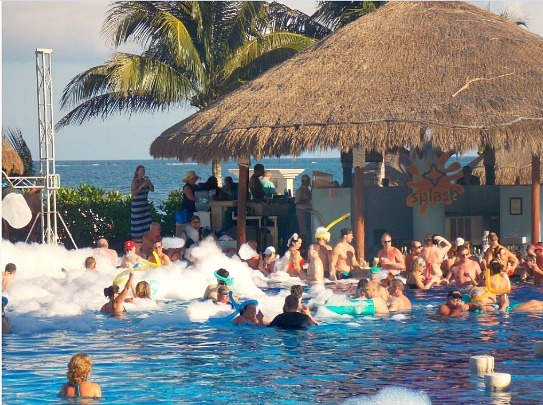 Guests at Now Jade Riviera Cancun and Now Sapphire Riviera Cancun get to experience something completely extraordinary. 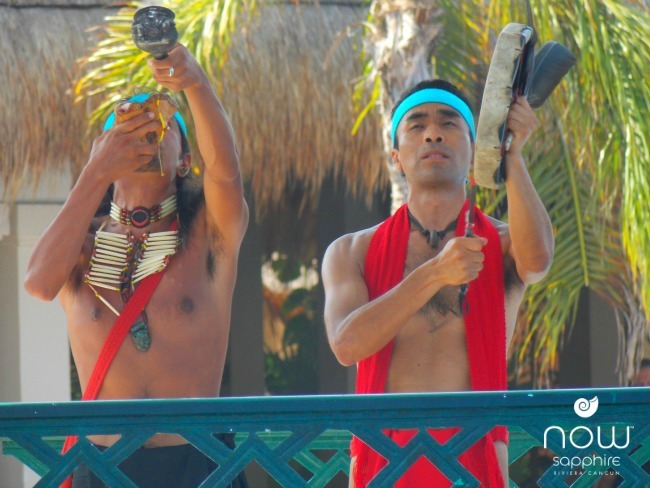 Almost daily from noon to 2 p.m., Now Jade and Now Sapphire bring animals that are indigenous to the Riviera Maya to the resorts. Guests get to interact with monkeys, toucans, lizards and more and also can document these memories with photos taken by Adventure Photos. This once in a lifetime experience is completely unique and will really make your stay special. Take a look at the visitors at each resort by day! Take a look at some pictures of guests meeting these animals! 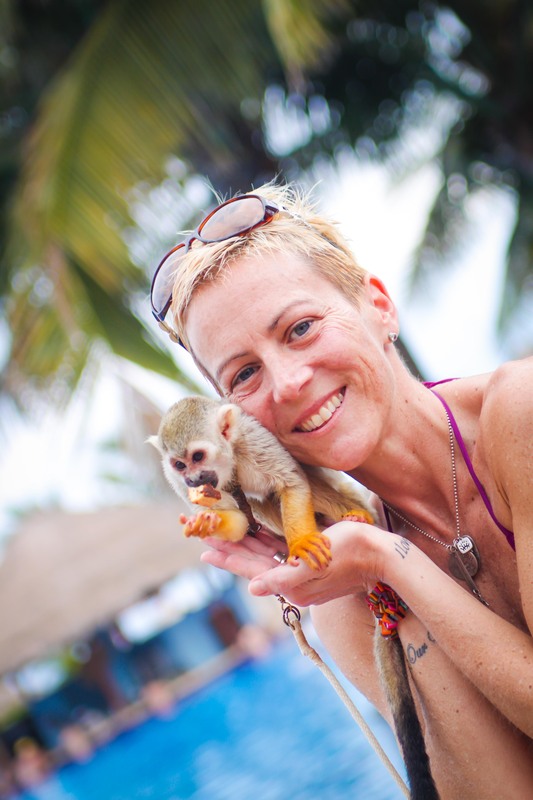 A guest poses with a monkey. Image courtesy of Adventure Photos. 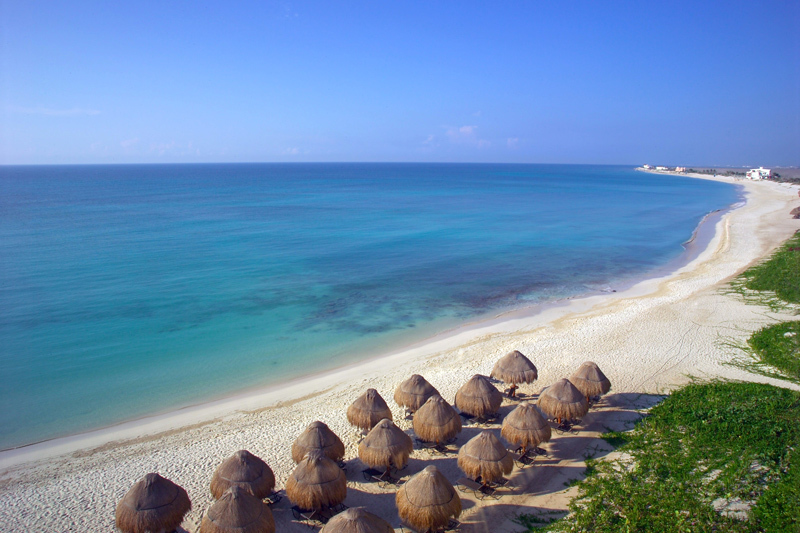 Cancun, Mexico is world-renowned as an excellent vacation destination and is known for its natural beauty. 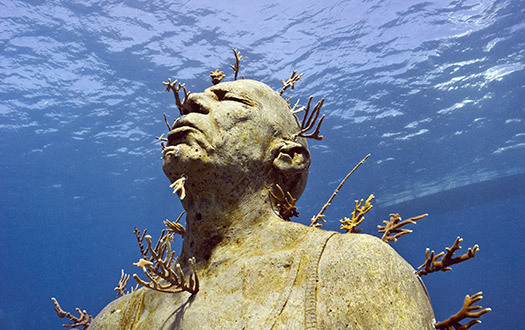 Something less-known is that Cancun now has an extraordinary museum fusing man-made art into the natural wonders and beauty of the Caribbean Sea. 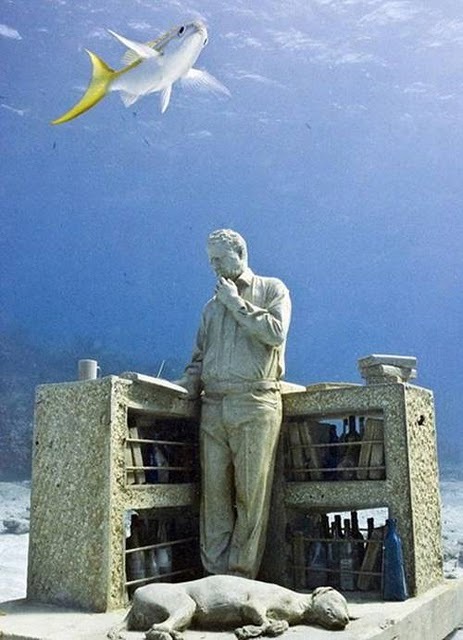 Guests at Now Jade Riviera Cancun and Now Sapphire Riviera Cancun Resorts & Spas can plan an extraordinary day trip to the Underwater Museum of Art in Cancun, MUSA which exhibits sunken sculptural masterpieces made by artist Jason Taylor, for visitors to visit on an underwater journey. 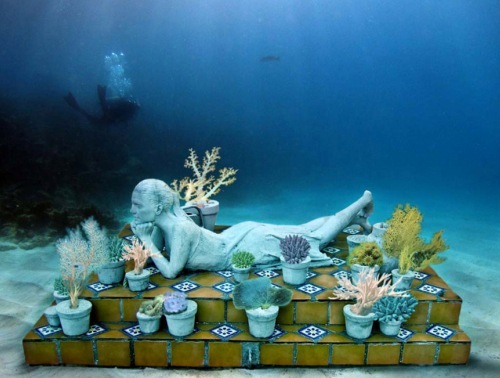 These utilitarian sculptures, while being impressive pieces of art in their own right, are made of environmentally safe and water-resistant materials in order to host reef growth over time. Ultimately, this museum is an ultra-cool conservation project that happens to make quite an exciting day trip while in Cancun. We would even say this is a one-in-a-lifetime experience, but the ever-changing and growing nature of the museum is meant for visitors to return over time to see the progress of the reef’s growth. The sculptures in the museum display realistic real scenes of the people of Mexico doing everyday activities like laying down, working and reading – the list goes on and on. The likeness to actual people is unbelievable – sculptures look like actual moments frozen in time – and surrounded by schools of fish, of course! Over time, however, coral will begin to grow on the sculptures and will blur out the realistic features, creating an eerie degradation of people as the ocean life takes over. We can’t urge guests coming to Now Jade Riviera Cancun and Now Sapphire Riviera Cancun enough to consider this day trip during their visit to Cancun – it is really an extraordinary sight for nature and art lovers alike. The park can be viewed while scuba diving, snorkeling, or on a glass bottomed boat, so this amazing park is accessible to anyone, whether you prefer to stay nice and dry with a drink in hand or plunge into adventures without looking back! Talk to your concierge today about planning a trip to the Underwater Museum!